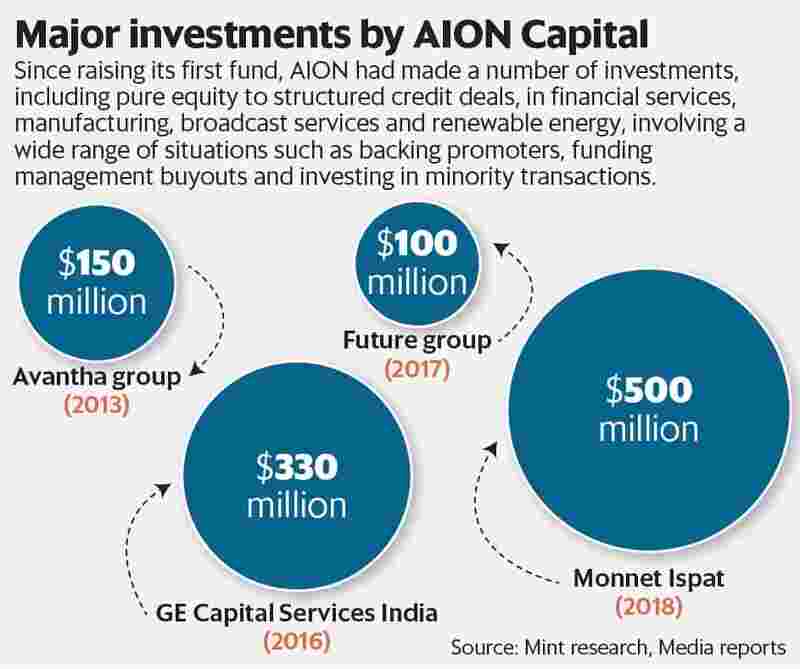 Mumbai: Special situations investor AION Capital Ltd is raising its second India-focussed fund with a targeted corpus of over $1 billion, said two people with direct knowledge of the matter, requesting anonymity. AION Capital is a joint venture between US-headquartered global private equity fund Apollo Global and domestic alternative assets manager ICICI Venture. AION had closed its maiden fund in 2014 at $825 million. Additionally, it also manages $120 million of co-invested capital of ICICI Venture and Apollo, taking its total assets under management to $945 million. “For the new fund, Apollo is expected to commit up to $100 million, while the rest will be raised from investors across the globe, especially from the US, where most of AION’s current set of limited partners are based," said the first person cited above. “AION’s maiden fund had seen participation from some of Apollo’s limited partners, including US-based pension funds, and discussions are currently on with some of these investors as well." “AION has a proven track record of profitable exits and is hopeful of reaching the first close of the new fund by the end of next quarter," said the second person. Since raising its first fund, AION had made a number of investments, including pure equity to structured credit deals, in financial services, manufacturing, broadcast services and renewable energy, involving a wide range of situations such as backing promoters, funding management buyouts and investing in minority transactions. In 2013, it had invested around $150 million in the holding company of the $4 billion Gautam Thapar-promoted Avantha Group, comprising paper maker Ballarpur Industries Ltd and electrical appliances maker Crompton Greaves, to repay debt and release pledged shares of the promoters. In January last year, AION Capital funded the management buyout of GE’s Indian commercial finance business by Pramod Bhasin and Anil Chawla. Bhasin was a former chief executive of BPO services company Genpact, while Chawla was the head of GE’s commercial finance business in India. In March, AION had received an approval to set up an asset reconstruction company (ARC) from the Reserve Bank of India as part of its distressed assets investment strategy. In July, the National Company Law Tribunal (NCLT) had approved a joint bid by AION Capital and JSW Steel to acquire Monnet Ispat and Energy Ltd in deal valued at ₹ 2,875 crore. According Bain and Co.’s India Private Equity Report 2018, after a decline in 2016, fundraising in Asia-Pacific rose to match 2015 levels, growing 6% in 2016 and 2017. The report added that India continued to be an attractive destination for investments, with India-focused funds growing 48% in aggregate to $5.7 billion, with an accumulated dry powder of close to $9 billion, reaffirming the potential for investments in the Indian market.